Our creeping phlox in the Pool Garden (a garden that used to be a swimming pool) is blooming profusely and when it returns, that signals the return of butterflies to the Inn. 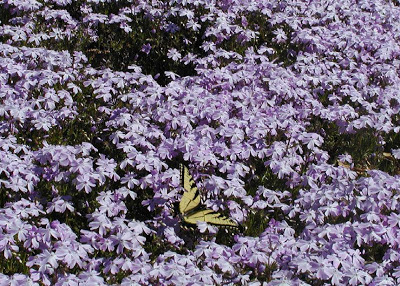 Here are our first two winged visitors of the season…with many more to come. 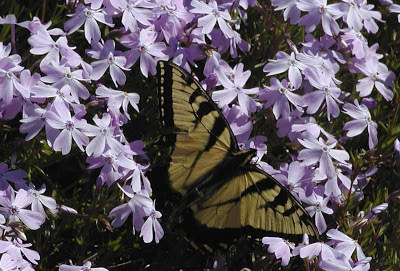 We’ve counted up to 40 butterflies at one time on the phlox, which provides a purple splash of color in the middle of the Pool Garden this time of year.